Note: Slower Shutter is not a photo or camera app for iOS. It is a long exposure calculator. I also wanted to teach my kids that you really can do anything, so I learned how to build an app even though I had no coding or development background. Slower Shutter will calculate the correct shutter speed that corresponds to the strength of your neutral density filter when taking long exposures. Slower Shutter includes a built-in, animated timer that displays the remaining time for your long exposure. The timer even works in the background and will alert you when there are 10 seconds left. Whether you are using a single stop or you are using a 10-stop filter such as the Big Stopper from Lee Filters, Slower Shutter can instantly calculate the correct exposure duration for you. "Slower Shutter is my favorite app to figure out the shutter speed for my long exposure photos. "If you are into landscape photography or long exposures at all… THIS IS THE APP FOR YOU!" "Slower Shutter is an awesome new iOS app from my friend +Mike Wong. 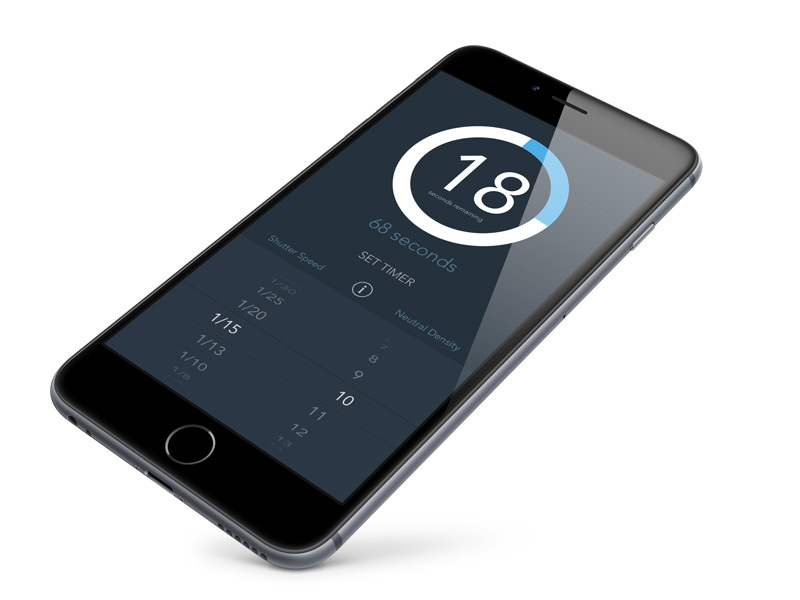 He set out to create the simplest and most awesome long exposure photography calculator... I think he was successful." "I could have made a few educated guesses about the right exposure time using the ND filter, but it was really helpful to have the Slower Shutter app to do that bit of thinking for me." Don't you need to know the aperture and ISO? Yes you do. But Slower Shutter doesn't need them to calculate your new exposure. Here's why. What if the new exposure is less than 30 seconds? In those cases, set your camera manually to the new shutter speed calculated by Slower Shutter. Do you have any advice for shooting long exposures? Yes indeed! In fact, my friend Scott Kivowitz has provided these long exposure photography tips for you. It's only $2.99 and you'll love it.